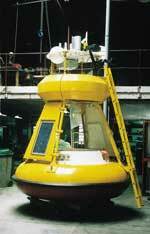 Biral design and manufacture visibility and present weather sensors. 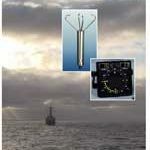 DO YOU NEED TO MEASURE VISIBILITY / FOG AT SEA? How are the VPF visibility sensors used? 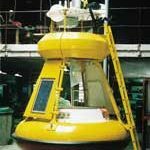 The VPF visiblity sensors are used in coastal / marine navigation safety installations such as lighthouses, harbours, marking points and platforms. to automatically switch warning light systems and foghorns on and off ONLY when necessary. to intelligently adjust warning light intensity levels depending on the local visibility. 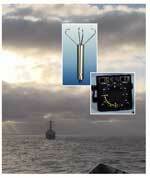 Why are the VPF visibility sensors suitable for marine use? Due to the robust construction and salt dip brazing of the aluminium metalwork there is no corrosion and weakness of welds experienced by some other sensors. To automatically switch warning light systems and foghorns on and off ONLY when necessary during low visibility, we recommend the VPF-510 visibility sensor. To intelligently adjust warning light intensity levels during low visibility, for marine weather stations and for offshore platforms we recommend the VPF-710 visibility sensor. For applications where present weather as well as visibility measurements are required such as platform helicopter landing pads we recommend the VPF-730 visibility and present weather sensor. The Solent channel runs between the Isle of Wight and the busy south coast ports of Southampton and Portsmouth on the English mainland. Following a near collision of two ships in the channel an offshore weather station, Bramblemet, was commissioned in 2004 to report weather conditions on the Bramble Bank which is out of visual range of the local Harbour Master offices. By necessity all the equipment used in the weather station needed to be reliable, low maintenance and low powered to cope with the remote location and sometimes harsh offshore environment. Bramblemet is equidistant between Cowes, Calshot and Hill Head in the centre of the Solent. Every 5 minutes wind speed, wind direction, temperature, barometric pressure and visibility data (using the digital VPF-710 visibility sensor) is collected and transmitted back to the Hydrographer’s office for dissemination to port authorities and the Royal National Lifeboat Institute station at Hayling Island. The data is also reported on the Bramblemet website which is updated at 5 minute intervals.